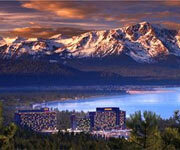 Lake Tahoe Hotels, Resorts, Motels, Inns, B&Bs, etc. Search Lake Tahoe Hotels by Region, Type, Star & Guest Rating and Price! 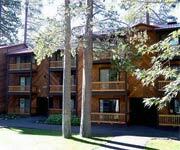 1 & 2 BR Suites, 5 BR cabin and Tahoe-style hotel rooms in South Shore!! Whether you are planning a winter ski trip or a summertime escape, there is a Lake Tahoe hotel or resort perfect for you. Lake Tahoe is a year-round paradise with some of the best skiing in the world during the winter and infinite summer activities. Marriott Grand Residence Club - One of the best South Lake Tahoe resorts, the Marriott Grand Residence Club is the perfect place to stay for you next ski trip. Situated comfortably in South Lake Tahoe, this four star hotel overlooks the Heavenly Gondola, which will swiftly whip you up to the slopes at Heavenly Ski Resort in no time. The resort is just minutes from the lake, and it even offers free shuttles to take you across the border to the popular casinos in Stateline, Nevada. Forest Suites Resort at Heavenly Village - As its name states, the Forest Suites Resort at Heavenly Village is located at the base of the Heavenly Gondola in the Heavenly Village, South Lake Tahoe. The Forest Suites features over sized suites that sleep 4-6 people making it an awesome choice for families and groups in both winter and summer. They also offer FREE Internet, a FREE continental breakfast and exclusive promo deals & specials to Tahoesbest.com readers. AAA Four-Diamond, full service, luxury resort at the base of world-famous Squaw Valley on Tahoe’s North Shore. If one of the fine Lake Tahoe resorts is a little too much for you, then maybe a bed and breakfast or cozy inn would suit you better. The area around Lake Tahoe is peppered with homey bed and breakfasts and inns that will give you the privacy and comfort you need. Tahoe City Inn - This little inn gives off that small town vibe everyone loves. The guest rooms boast in-room jacuzzi tubs large enough for two people to share a soak, and the inn offers complimentary breakfast on the weekends. You can help yourself to the video collection in the lobby and watch them for free in the comfort of your room. 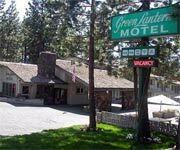 Set in Tahoe City, this inn is near all the best Lake Tahoe attractions. It is centrally located on the west shore making the north shore and south shore easily accessible. 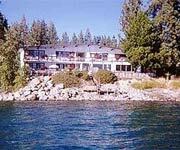 Shooting Star Bed and Breakfast - Situated just across the street from Lake Tahoe in the beautiful Carnelian Bay, this snug bed and breakfast offers comfortable accommodations, five star service and freshly made breakfast every morning. Settle into bed under the cozy down comforter and wake up to Eggs Lulu and Banana Bread Pancakes! The Shooting Star Bed and Breakfast makes your vacation relaxing and unforgettable. Just fifteen minutes from most of the major ski resorts in Lake Tahoe, this B&B is a great place to stay during the winter as well. 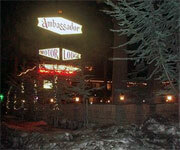 A South Lake Tahoe hotel with 70 comfortable rooms within walking distance of Lake, gondola & casinos! 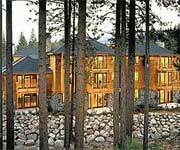 Review Tahoe's best list of Lake Tahoe hotels and resorts and find the hotel, resort, lodge, casino hotel, motel, inn or bed & breakfast that best suits your specific location, budget, style and vacation needs. 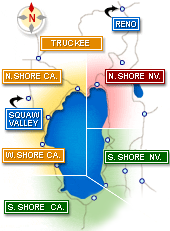 The majority of hotels in Lake Tahoe are on the South Shore (including South Lake Tahoe, CA & Stateline, NV) and along the North Shore (primarily Tahoe City, Squaw Valley, Kings Beach, Tahoe Vista, Carnelian Bay, Truckee and just over the border on the "Nevada side" in Crystal Bay and Incline Village). The West Shore is also home to a number of smaller, quainter family run motels and lodges. Some hotels are close to the slopes such as the AAA Diamond Resort at Squaw Creek  in Squaw Valley, the Lakeside Inn and Casino in South Lake Tahoe and the Village at Northstar™ on the North Shore. 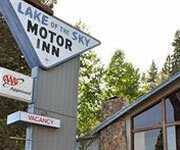 Many others are on or within walking distance to the Lake including the Hyatt Regency in Incline Village, Aston Lakeland Village Beach and Mountain Resort along Tahoe's South Shore and the Mourelatos Lakeshore Resort in Tahoe Vista which boasts it own private beach. If you are bringing your dogs Pooch and Poochie then use the tools on this page to filter and review a list of Lake Tahoe pet friendly hotels. You can also view a map of Tahoe hotels. Also check out some of the most up to date and best Tahoe hotel deals that can save you big money on cheap motel rooms and luxury resort hotel suites leaving you extra cash to spend cruising around beautiful blue Lake Tahoe! 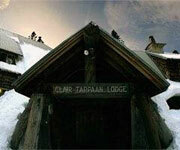 Clair Tappaan Lodge Lake Tahoe Inn Provides Affordable Communal Lodging. Lake Tahoe is a special place with incredible hotels, motels and resorts including the Resort at Squaw Creek, the Hyatt Regency Lake Tahoe, and Granlibakken on the North Shore and the popular South Lake Tahoe hotels like the 3 Peaks Resort & Beach Club, Tahoe Lakeshore Lodge & Spa, Lakeside Inn and Casino, Forest Suites, The Lake Tahoe Resort Hotel (yes, that is its name - it's the old Embassy Suites), the slew of Lake Tahoe Marriott hotels, and The Ridge Tahoe on the "Nevada side". 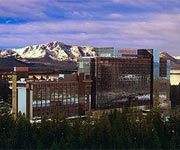 The popular South Tahoe casino hotels include Harrah's, Harveys, Montbleu, and the Lakeside Inn and Casino (where the luckiest players can be found!). If you are looking for the Horizon, they've closed and is now the Hard Rock. There are a lot of hotels and motels within walking distance or near the casinos in South Shore (and North Shore). The border of California and Nevada splits the City of South Lake Tahoe with the casinos literally steps acrosss the border on Route 50. Turn back towards the CA side and you'll see plenty of places to stay (you can throw a ski boot and hit the Lake Tahoe Resort Hotel) with plenty more very nice options within a 5-minute walk like the Forest Suites at Heavenly Village, Stardust, 3 Peaks Resort and Beach Club and the Best Western Station House Inn (both on Park Ave.) or take a right on Stateline Blvd. and find some of the cheaper motels nestled (nice word for "crammed") in the woods and the luxury The Landing Resort & Spae on the lake. If you'd prefer a place to stay that is a little larger and more private, check out a Lake Tahoe cabin or condo rental. Families and groups can enjoy the extra space and comforts of home in accommodations like these although many of the hotels offer sweet deals on suites - see the 3 Peaks, Forrest Suites and Lake Tahoe Resort Hotel in South Tahoe and in the North Shore, check out The Village at NorthStar, Squaw Creek, and the Hyatt Regency in Incline Village. Most hotels in Tahoe are 2-star and 3-star hotels, motels and inns, less then fifteen  are 4-star luxury hotels & resorts (Harveys, Harrah's, Grand Residences by Marriott, Marriott Timber Lodge, Hyatt Regency Lake Tahoe Spa and Casino, Resort at Squaw Creek, and Tahoe Mountain Resorts Lodging to name a few), and just one is a 5-star, full service luxury resort - The Ritz-Carlton in Truckee on Tahoe's popular and beautiful North Shore. Many hotels are pet or dog friendly,  have pools, jacuzzis, and are kid friendly. Try the 3 Peaks Hotel in South Shore if you have a family, have a well-behaved dog, want to walk to the beach during the day, jacuzzi & bar-b-que in the evening on the hotel grounds and then walk to South Tahoe's casinos and restaurants. 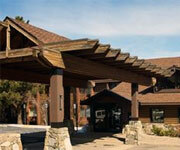 For suites, try the 3 Peaks again, the Lake Tahoe Resort Hotel and Forest Suites. 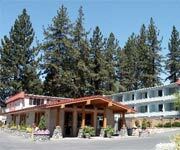 The Aston Lakeland is a nice luxury South Lake Tahoe resort hotel with competitive room rates and for inns, the Secrets Inn and Heavenly Inn are popular choices. 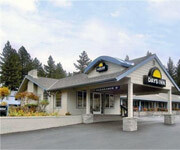 The Fantasy Inn is an interesting option and is well situated on Lake Tahoe Blvd. next to Chevys and Ski Run Blvd. which is how you get to Heavenly and access Ski Run Marina. 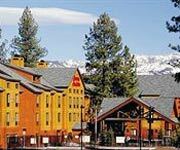 The Super 8 South Lake Tahoe is another excellent centrally located, pet-friendly value-priced hotel. 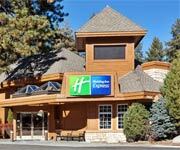 Ther are plenty of cheap hotels in Lake Tahoe, just use the tools on this page, sort by price ie: select "low to high nightly rate", review each option and then book securely online. 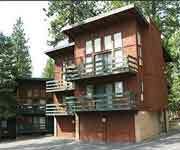 Regardless of the style or type of lodging you're looking for, you'll find it on TahoesBest.com - your local Tahoe hotel connection.